I have found that most of the available crochet patterns out there are for Barbie clothes. I recently got a request to make some knee high socks and thought I should try making shoes first, as it requires less work than making socks. 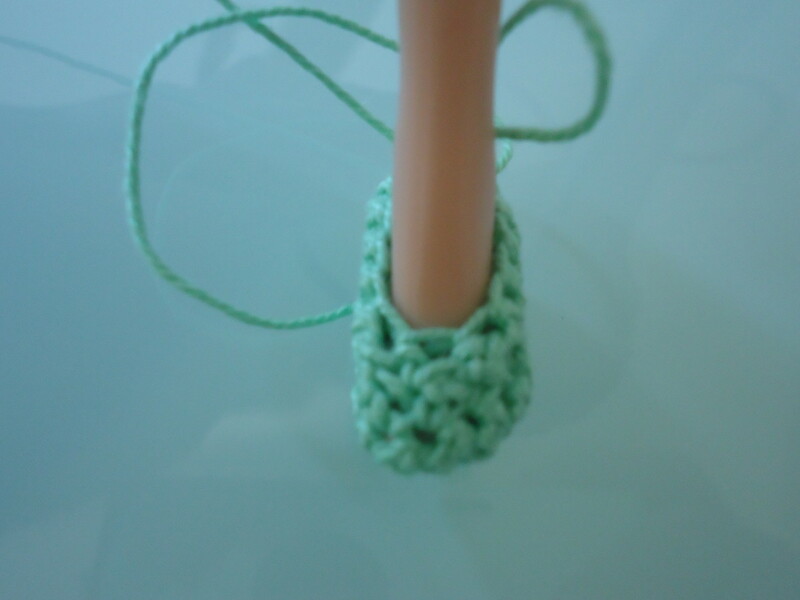 It will also serve as a base for the Barbie Basic Socks. 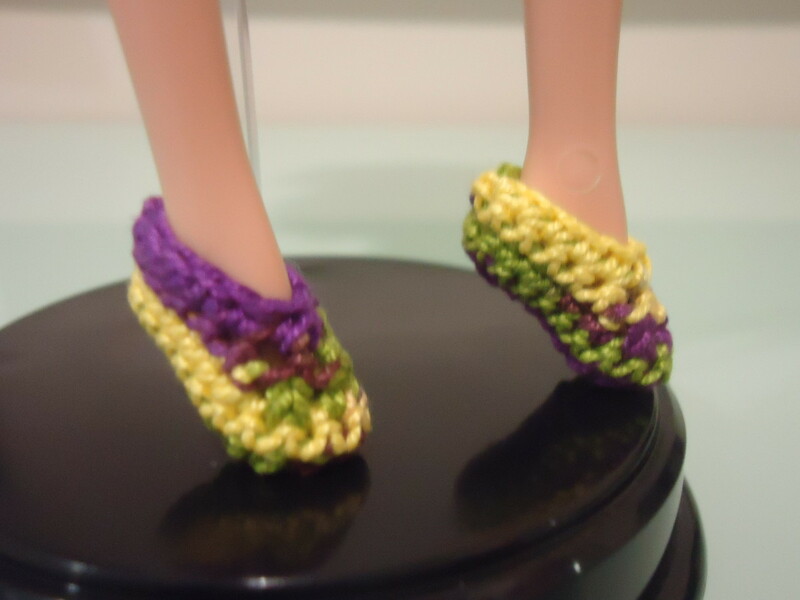 This hub is a free crochet pattern for the basic ballet flats for your Barbie doll. This pattern was fitted on the Barbie Basics doll. 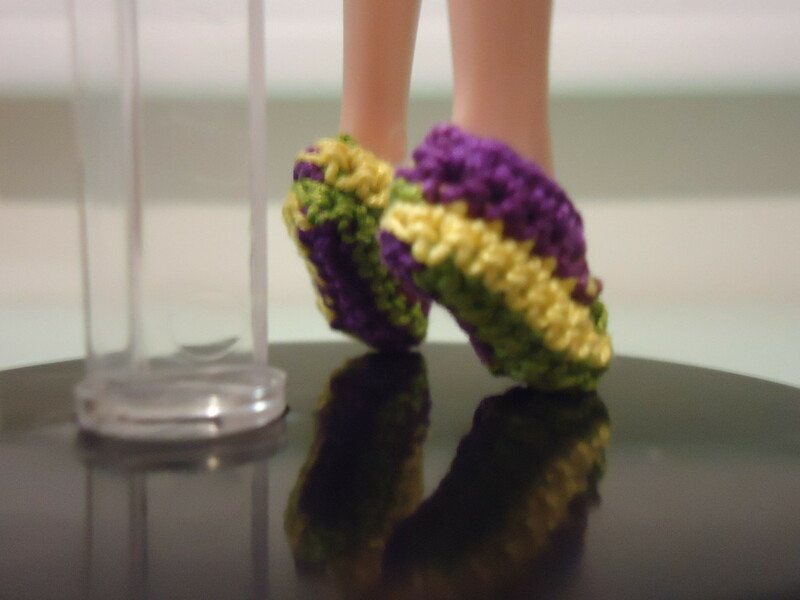 For more information on the different types of Barbie dolls, please visit Crochet Clothes for Your Barbie Doll. 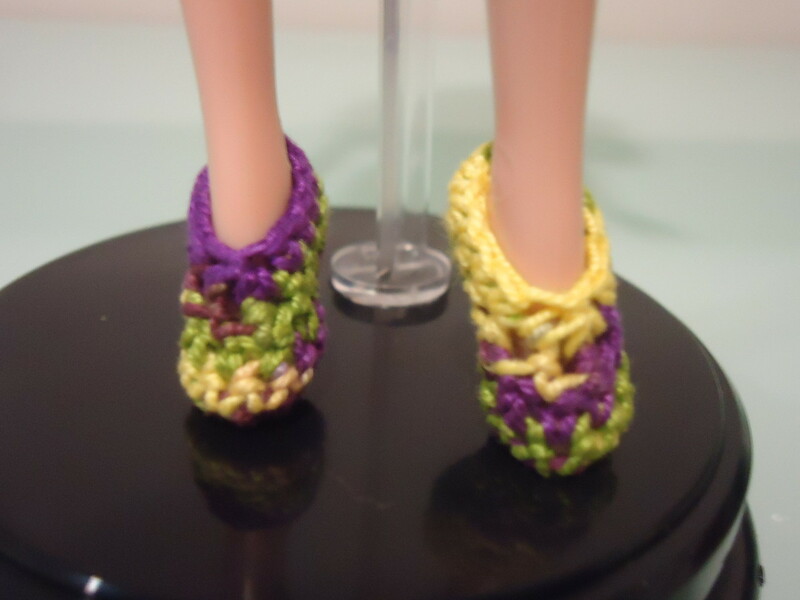 While I am not sure about the actual difference between the different Barbie feet, I believe the older dolls have thicker feet so the actual pattern may not fit. There are notes included in the pattern on how to change the size in case you do have trouble with the fit. Ballet flats originated from the soft ballet slippers women wear while dancing. It gives the appearance of having little to no heel at all. Ballet flats are a stylish, yet comfortable pair that is a classic staple for every girl's wardrobe. While Barbie can comfortably wear any pair of shoes all day long, these flats offer a cheap and stylish alternative to complete any look. Gauge is not important for this project. 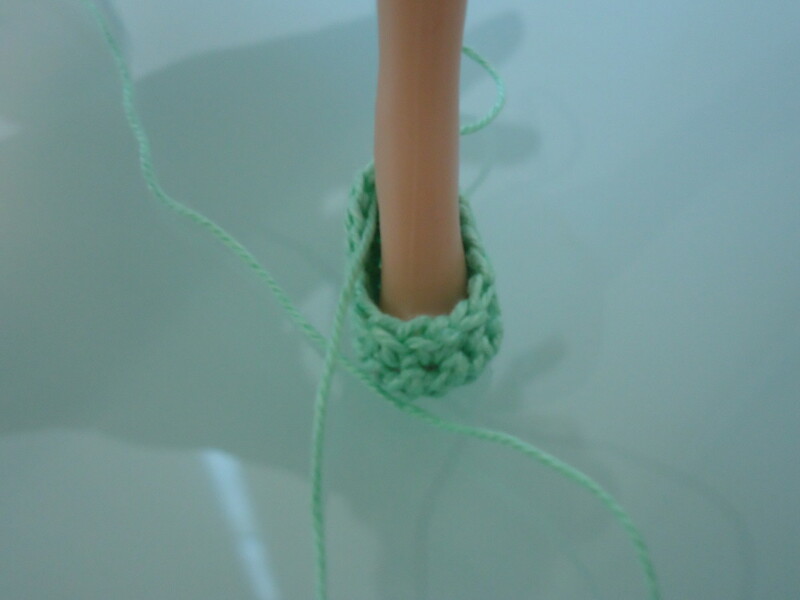 Details will be given on how to check the size, as well as any changes in stitches you can make for larger feet. Make two—one for each foot. change the sc's to hdc's or dc's where appropriate. 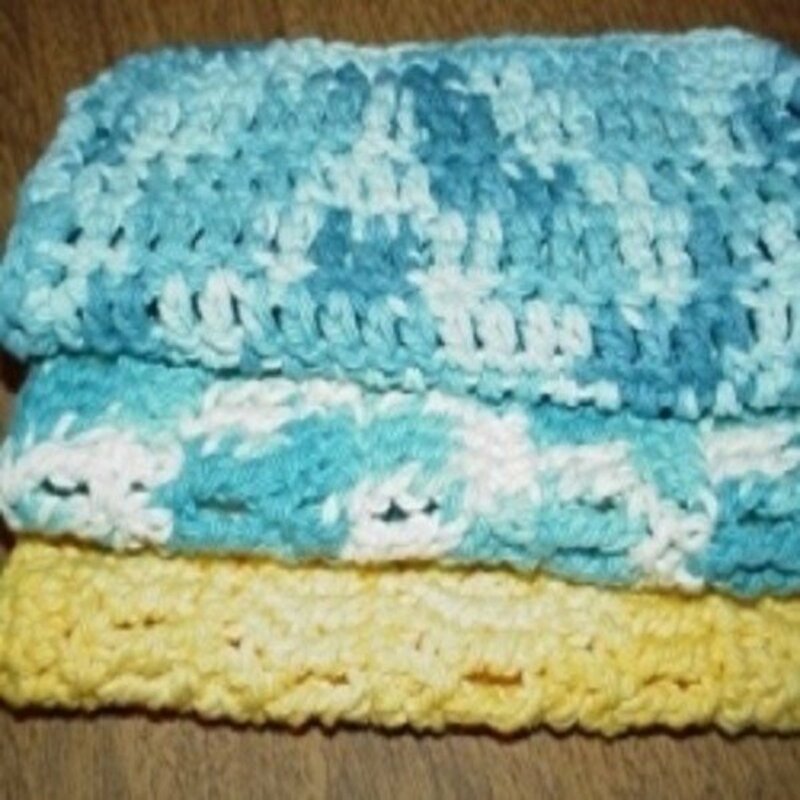 Note: The 2 ch-1 spaces were intentionally added to reduce the holes created by decreasing stitches. If you find any more holes unappealing in succeeding rows, feel free to add more ch-1 spaces. For more information on how to change the size of this project, please visit Ever After High Ballet Flats. Ever After High dolls have longer feet than Barbie dolls, so I had to edit this pattern to change the size of this pattern to fit my doll. I will ditto Holly's comments. The first time using the pattern I missed the "turn" instructions, it makes a big difference on how it looks. 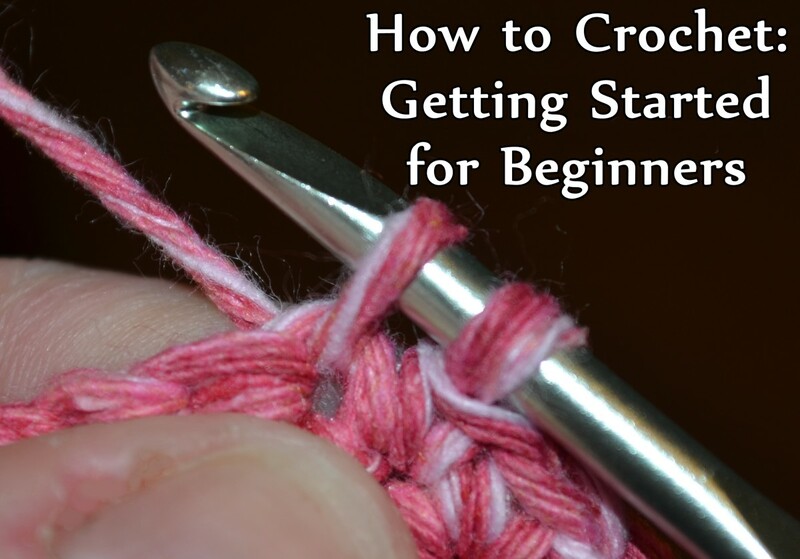 Thanks for taking the time to create something new in crochet for Barbie sized dolls. Cute! Came out perfect for me. Then again, how could they not? 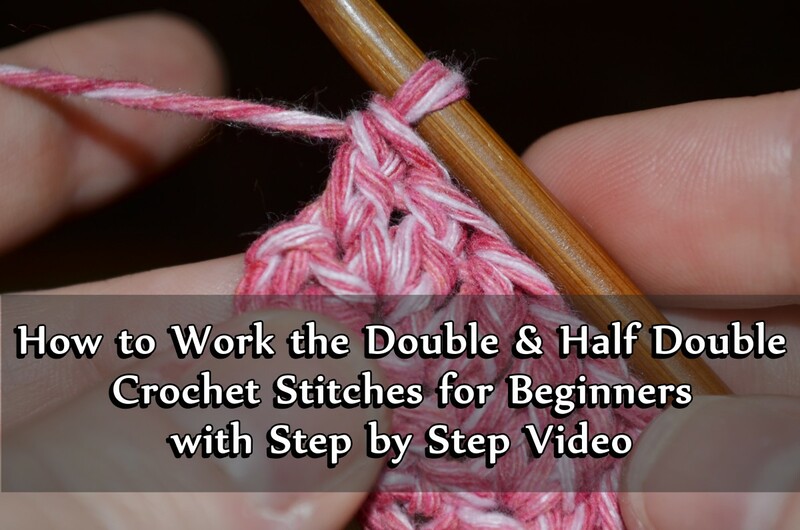 This is a great pattern and tutorial.